Home » Law Life » 2L Year, What? Bring It. Today is my first day back at law school! Bring it on 2L year! First Day Outfit! Off to school! When I got up this morning I decided to do my workout right away, get it done before I got consumed by nerves! I have the Jillian Michael’s 30-Day Shred DVD, which I love to use when I’m short on time. I can just pop it in my computer rather than having to walk all the way to the gym and back. The DVD has three 20-minute workouts: Level 1, Level 2, and Level 3. The workouts start with a warm up end with a cool down and have three 6 minute circuits. Each circuit is 3 min strength, 2 min cardio, and 1 min abs. It’s meant to burn as many calories as possible in a 20 min workout. I did the Level 3 video and then the Level 1 video, because I feel like 20 min is just not enough! After I’d showered and done some blog work, I was STARVING! 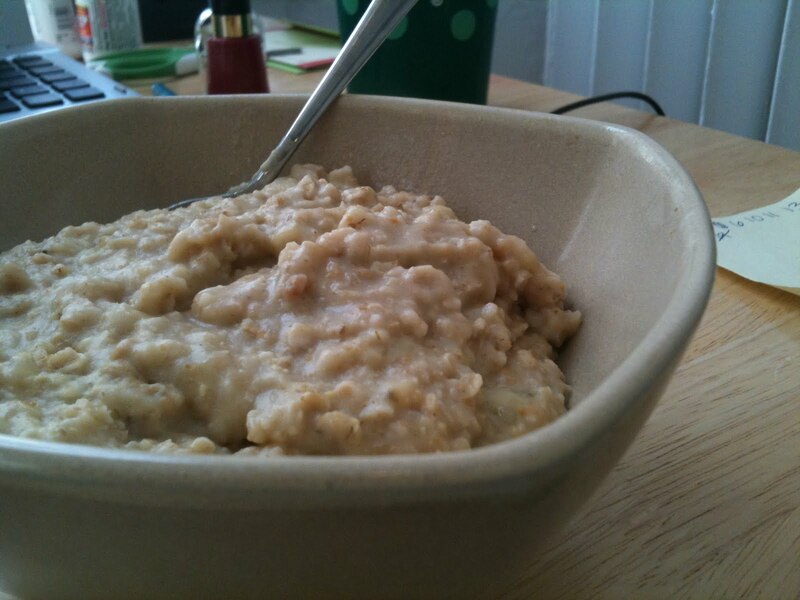 So I made some banana and PB2 oats and a side of scrambled egg whites. Perfect and filling breakfast! Exactly what I needed after my workout and to get me ready to head back to school! I also packed up my lunch and snacks. 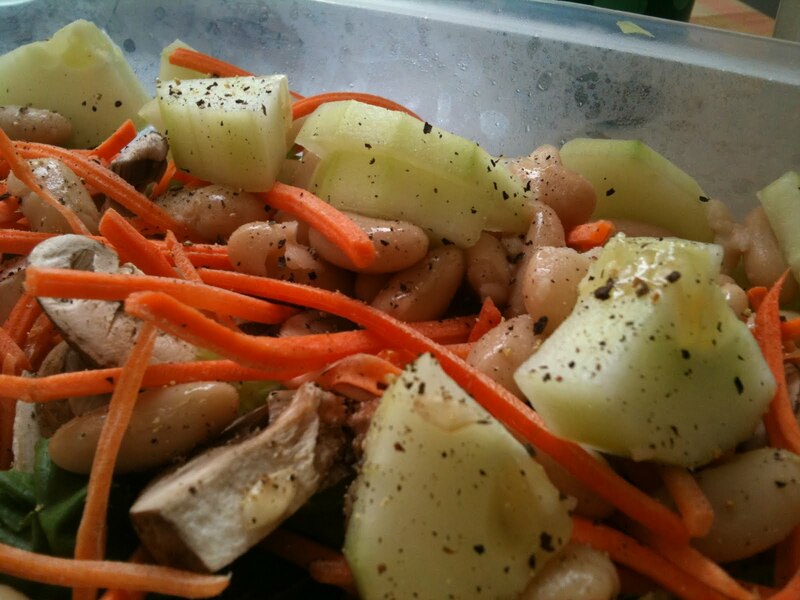 For lunch I packed a salad of chopped Romaine with cucumbers, mushrooms, carrots and 1/2 cup of white kidney beans. I used some lemon juice, apple cider viengar and pepper for a dressing. I love mixing this dressing because I think it’s nice and light for the summer! For my snacks, I brought a mini Luna bar for before lunch, a sliced apple, and then a normal Luna bar for later in the afternoon. Let’s just say I was glad my last class was cancelled, because I would have been very hungry by 7:25 when it ended! Note: pack more filling lunch for next Monday! (that’s my longest day). 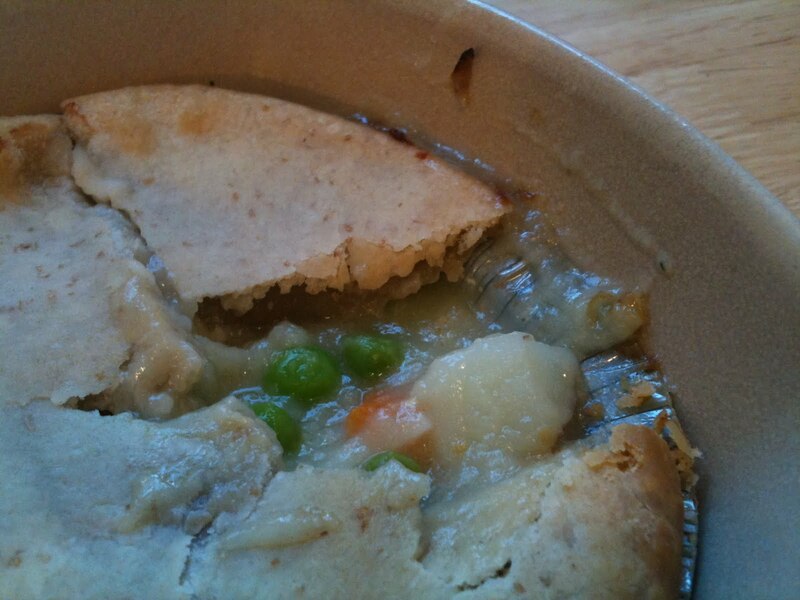 When I got home I decided to try a Chicken Pot Pie that I’d had in my freezer forever. I wasn’t super hungry so I knew I wouldn’t mind waiting 45 min to bake it in the oven. It’s made with organic vegetables and crust. I got it at whole foods months ago and never pulled it out to try! 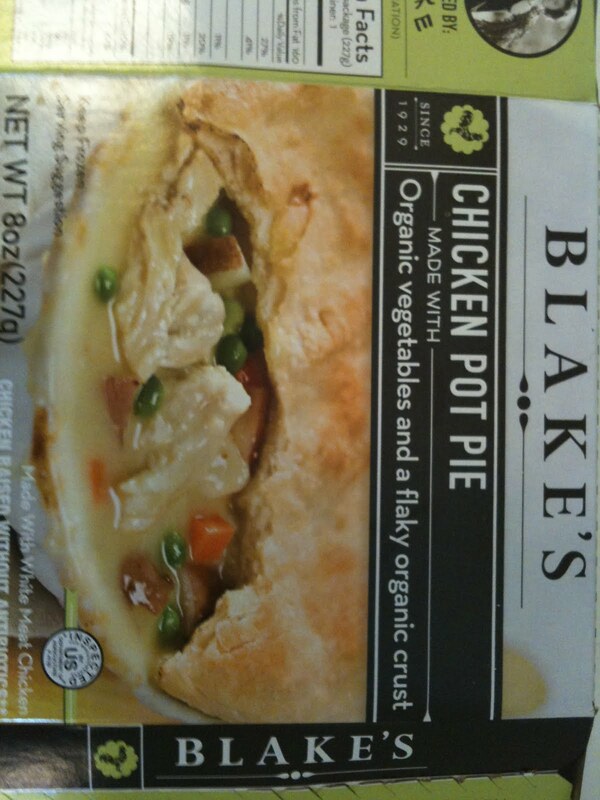 Tonight feels like a chicken pot pie night! (aka I don’t feel like a smoothie for dinner and I’m tired of veggies from lunch…). When it came out it was alright. The crust was good, but not super flaky, and it was really soupy. I wish there were more veggies in there and less gravy stuff. Oh well, gotta give things a try! All in all, my first day back was pretty good! I feel good about my classes and it was nice to have the last one cancelled so my day wasn’t quite as long. I feel like it just flew by! It was also great to see people I hadn’t seen since May! I kind of flew under the radar this summer. Today was the first day for a lot of schools, anyone else have a big day?